The Austin Sprite is quite a rare car as just 1022 were produced. 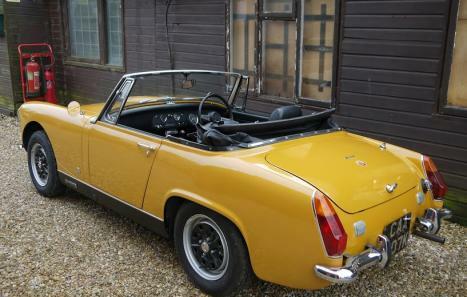 It followed on from the Austin-Healey Sprite, was based on the 1275cc Mk1V Midget and was identical except for badges, a black radiator grille and 8-hole “rostyle” wheels. 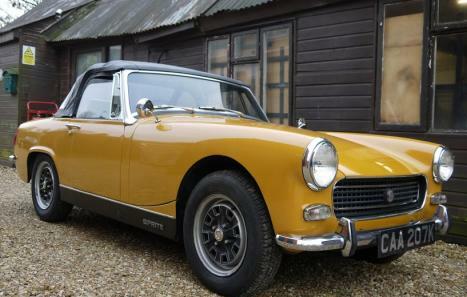 This car is a 1971 Austin Sprite in its original colour of “Bronze Yellow”. 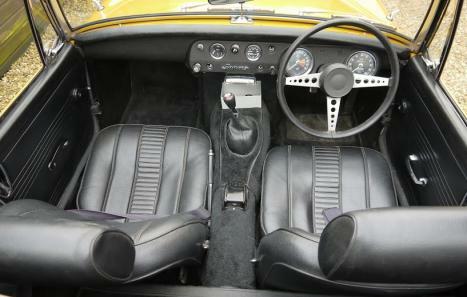 The original mileage is correct at just over 80k and it presents in simply superb original condition. At 77,000 miles it had a full engine re-build and there is a comprehensive history file with bills for various other works. The body and paint-finish is A1 and rust free, the panel fit is excellent and the interior trim is in smart original condition. Most importantly it drives as well as it looks. 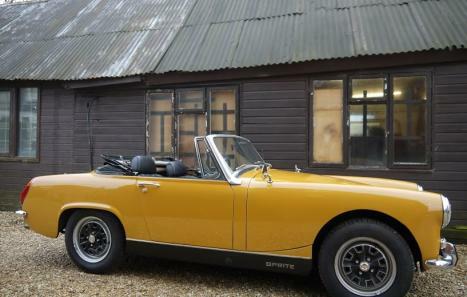 We have just carried out a minor refurbishment and this attractive and rare Sprite is now ready for use.